Although the benefits of green tea cream are real, many of the products are bogus. Here are 5 things to watch out for. There are now many products on store shelves and cosmetic counters claiming to have captured amazing green tea skin benefits in a tub or a bottle. You should be careful. Just because it says “green tea” on the package does not mean that the product inside will be beneficial. 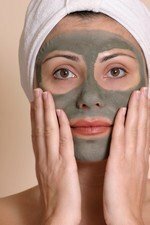 How do you know which green tea skin care products are a worthwhile investment? Don’t just look at the packaging! Instead, turn the package over and focus on the ingredients. Genuine green tea skin care products are few and far between. They also need to contain a substantial amount of green tea to be beneficial. If it is near the bottom, there is not enough green tea in the product for it to work as advertised. At this level of concentration, you don't need to worry about toxicity. This is because another 2000 study conducted by Stratton found that daily topical application of 30 milligrams per ml for 30 days failed to produce any side effects. Also, if the label says “green tea fragrance,” put it back on the shelf. Fragrance oils are synthetic and do not have the same properties as actual herbal extracts. Green tea cannot penetrate the skin by itself. Green tea must be dissolved in a carrier oil, which can then permeate the skin and take the green tea along with it. Carriers can include herbal extracts, alcohols, and oils. If you are acne-prone, be aware that not all oils clog pores. Many essential oils are light yet moisturizing. They penetrate and hydrate the skin without leaving it greasy. Probably the best carrier oil for a green tea skin cream is camellia oil, which is an essential oil derived from green tea. However, camellia oil can be very expensive, so it is not commonly used. Look for other ingredients that can help enhance the beneficial effects of green tea. Think about what you are buying the cream for, and look for other ingredients that can work synergistically with green tea to give you the results you crave. Want to prevent acne? Look for products that also contain tea tree, white willow, or calendula. Want to sooth an irritated complexion? Aloe Vera, calendula, and meadowsweet are excellent. Want to keep your skin looking youthful? Try out pomegranate extracts to provide additional antioxidant protection. Let’s face it. Many skin care products call themselves “natural.” People instinctively gravitate toward natural products because they have come to distrust synthetic chemicals. However, when you flip the package over and look at the label, all you see is a list of ingredients that seem to fit better in a high school chemistry lab. Not all synthetic products are harmful, but some can cause reactions or other side effects, particularly if used long term or if you have sensitive skin. Green tea is a powerful antioxidant, and may be able to neutralize some of the harmful effects from these products. However, if you want to obtain the maximum benefit from a green tea skin cream, you don’t want the green tea to have to “work against” everything else in the bottle. These are synthetic preservatives that may degrade into toxic chemicals over time. Some research suggests that they may also have an estrogenic effect, which could encourage the development of breast cancer in susceptible women, although this has not been proven. This is a common chemical used to control acne. It kills acne bacteria, but also causes dry skin, irritation, and peeling. If used too much or too often, it also promotes the formation of free radicals. It clogs pores and inhibits normal skin functions. Diazolidinyl Urea and DMDM Hydantoin. These contain formaldehyde, which can be released over time. For obvious reasons, this is a bad thing. These are petroleum-based products that are toxic enough to require protective equipment when they are handled undiluted. Although usually found in small quantities in skin products, there is no point in exposing yourself even to small amounts. Cosmetic manufacturers claim to have your best interests at heart. However, many companies really just want you to open up your wallet. By spending just a few minutes reading the label, you can ensure that you are spending your hard-earned money on something that is worth investing in. Stratton SP, Bangert JL, Alberts DS, and Dorr RT (2000) Dermal toxicity of topical (–)-epigallocatechin-3-gallate in BALB/c and SKH1 mice. Cancer Lett 158: 47–52.